Our newest line of furnishings includes a myriad of stunning, large mirrors that are fabulous reflections of days long ago. 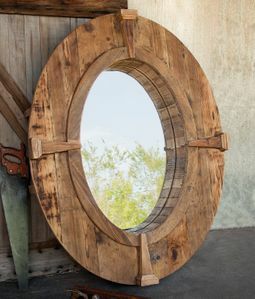 Rustically beautiful, the reclaimed wood from which they are made only adds to their bucolic flavor. Park Hill is also well known for quality craftsmanship, so these mirrors will last for many decades. Enjoy!